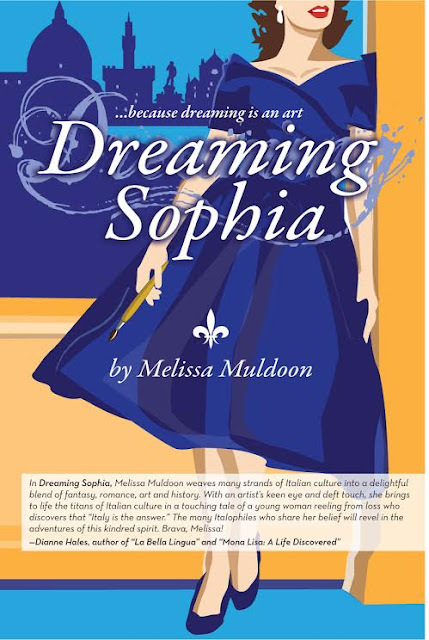 I'm so excited to be spotlighting fellow book blogger and author Melissa Muldoon who has released her debut novel Dreaming Sophia. If you are a lover of art history and Florence, then get yourself a copy and become immersed in a novel that will whisk you away to Italy. Read my interview with Melissa and be sure to enter the giveaway to win a copy! Head on over to Essentially Italian to read my review! To read more reviews, please visit Melissa Muldoon's page on Italy Book Tours. 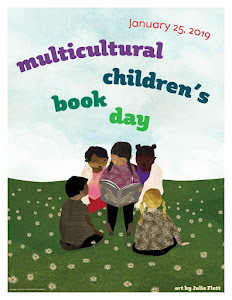 LCR: Can you describe your book in 20 words or less? MM: I can try, but it is a difficult assignment as my book is about Italy and weaves together many strands of Italian culture in a mixture of fantasy, romance, art, and history. It is as diverse and complex as Italy herself. From start to finish readers are taken on a journey from the vineyards of Sonoma California to Florence, Fiesole, Lucca, Rome, Verona, and Venice. Along the way, they will discover more about Italy, popular legends and illuminating anecdotes, film, music, and food. They will also learn a bit of Italian to boot! The story begins with tragedy, with the main character, named after La Loren, being blindsided by fate. But, “Dreaming Sophia” is also a joyful story, at times even divertente—funny and capricciosa—whimsical. It ultimately tells how Sophia emerges from a very dark place by tapping into her creative, imaginative powers. In Italian, a person who daydreams is said to sognare ad occhi aperti—to dream with eyes open. And this is what my character does. Through sogni Sophia meets famous Italian personalities and they each give her a gift and a bit of advice, urging her to follow her heart to Italy. Dreaming Sophia is about finding one’s inner confidence and creativity and falling in love with a country and its culture. Artist recovers from tragedy by tapping her imagination. Through daydreams, she meets Italian personalities who remind her Italy is her destiny. 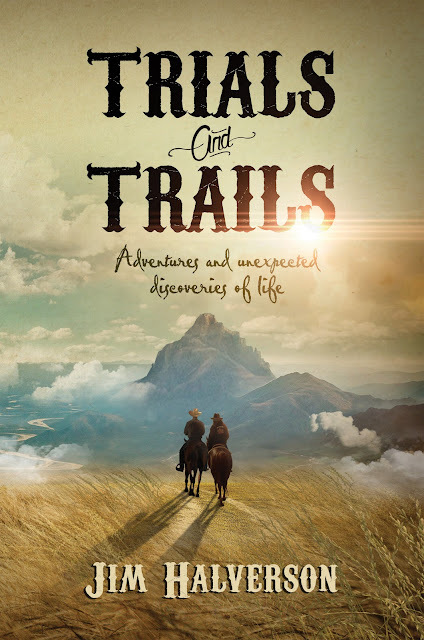 LCR: I read your book and loved being transported to Florence and to the past. How much research went into this book and how did you do it? MM: The answer to that would be about thirty years went into the research of this book. It all began when I was an art history student in Florence in college and lived with an Italian family in Campo di Marte. The book is a culmination of my personal experiences during that time and my more recent travels in Italy as well as the time I have spent studying art history and being an artist. It is also a reflection of my journey to learn the Italian language. Since beginning the Matta blog six years ago, every day I think in Italian, write in Italian and even sing in Italian. In preparing content for the Matta blog, I am constantly discovering fascinating stories about Italy, language, and culture through reading, surfing the internet and watching films. I am always researching and adding to my list of things I want to write about and share with my readers. LCR: One of the things that struck me about your book is how well you managed to portray Italians, even though you yourself are not Italian. (I'm swear you must have some Italian blood in you!) Can you tell us what you love the most about the Italian culture and language? What you dislike the most? MM: I am not Italian, but it sure feels like in a previous life I must have been! I have always been a great observer of all things. I take in all manner of details and file them away in the back of my mind for future reference. So naturally, living in Italy and having Italian friends all over the country from Milan to Lecce has been an inspiration for the characters in my book as well as their dialogues, body movements, and conversations. What intrigues me most about Italian culture and language? Well, I can tell you that living in Florence during college had a profound impact on me and touched a place inside that I have allowed to nurture and bloom. Since that time I have embraced the Italian “joy of living”—the sense of “lasciar andare” to let go and enjoy life. In America I am constantly on the go, ticking things off my list, never slowing down for a minute. My head is always full of new projects, and I can’t react fast enough to complete them. But in Italy, I seem to relax and take things more slowly. I go with the flow, enjoy an afternoon spritz or take the time to make pasta from scratch. In Italy, my senses come alive, and I appreciate all the trivial things, that when added up make life so interesting and meaningful. The thing I love most about the Italians themselves is how open and welcoming they can be when you speak their language. It has given me the ability to get to know a more authentic Italy and even create a whole new family there. Language has been the key to opening doors that many tourists never have the opportunity to unlock. For instance, I have done some incredible things I have never done in the States! I have zip lined in the Basilicata, made chocolate truffles with a chef at Baci Perugina in Umbria, attended weddings in Renaissance churches, and eaten dinners with Italian families that don’t end until midnight. I have jumped off cliffs into the warm ocean in the Salento and even made orecchiette pasta with a ninety-year-old nonna in Lecce. The experiences and intimate moments are so vast and plentiful, and many of the daily Italian routines have been repeated so frequently that now when I go to Italy each year, it does indeed feel like I am returning home. You ask, what do I dislike about Italy? I would have to say the Italian bureaucracy. I do enjoy a high level of efficiency and order, and at times the Italian lack of urgency drives me nuts. I also wish there were more automatic cars in Italy. The country seems only to be filled with cars with stick shifts, and I’m trying desperately to learn so one day I can drive in Italy with confidence! LCR: Tell us more about your "Matta" Language and Culture trips in Italy. MM: Over the years as my language skills improved and I started making friends in Italy and having more and more personalized experiences when I visited, I realized I wanted to share the Italy I was coming to know and love with others. I have always advocated that to learn a language well, you need to know about its culture. To find out more about a country’s culture, you need to learn its language. After I had begun the Matta blog, many individuals and schools in Italy with a similar philosophy to mine began reaching out to me wanting to form partnerships to put together small groups to learn Italian in Italy and immerse in language and culture. Now together we create a small group environment in which students feel comfortable using the language, not only during class time but during our afternoon activities when we are wine tasting, making pasta or visiting medieval castles. The programs are designed by myself and my Italian partners. We organize accommodations, dinners, and engaging activities. We encourage all levels of students to attend, from beginners just starting their journey to learn to language to advanced students wanting to take their language skills to the next level. Students are placed in language classes appropriate to their needs with other students from all over the globe. In the afternoon our group reunites, and we partake in an activity or excursion designed just for our group. Single travelers, as well as couples, are welcome. Dreaming Sophia 5 day program in Florence - to learn more about Florence and go places where Sophia visits in the book! LCR: What surprised you the most about the feedback on your book thus far? MM: I am thrilled that the book is resonating with people, not only because the story line is set in Italy, but by the message of hope it conveys. 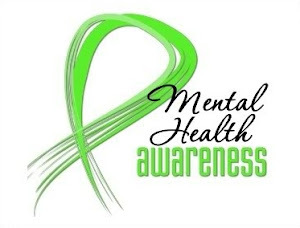 I am receiving comments that people are moved by Sophia’s story and her ability to overcome her tragedy and that dreams really do become reality with hard work and perseverance. Brava! You are not only becoming Italian, but a Renaissance woman as well. I know how much work goes into a book, and yours certainly shines through. In Dreaming Sophia, Melissa Muldoon weaves many strands of Italian culture into a delightful blend of fantasy, romance, art and history. With an artist’s keen eye and deft touch, she brings to life the titans of Italian culture in a touching tale of a young woman reeling from loss who discovers that “Italy is the answer.” The many Italophiles who share her belief will revel in the adventures of this kindred spirit. MM: I adore light romantic comedies and Sophia certainly made her fair share of them. I am also quite taken with her performance in “La Ciociara” (Two Women) for which she received an Academy award. Her portrayal of a woman protecting her daughter during the war is quite moving. But I have to say; my favorite Sophia Loren movie would have to be “Ieri, Oggi e Domani” (Yesterday, Today and Tomorrow). It is a trilogy by Vittorio de Sica also starring Marcello Mastroianni. The stories are all unusual and show the depth and breadth of Sophia Loren’s acting capabilities. The first is a story about a young pregnant wife and mother in Naples who supports her husband by selling black market cigarettes. The second it that of a wealthy socialite toying with a man who is infatuated with her. The final story in the trilogy is that of a prostitute who enlists the help of a client to spurn the advances of her neighbor’s infatuated grandson. All three women are unique and Sophia gives delightful performances, bringing each to life splendidly. LCR: If you could travel back in time where would you go? Who would you see? MM: I would travel back to Renaissance Florence. 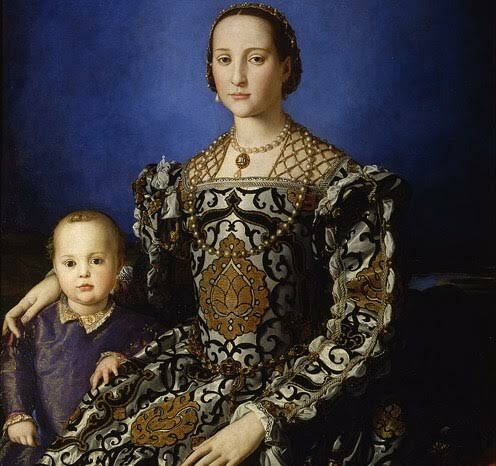 I would like to meet Lorenzo de’ Medici and be a part of his inner circle. 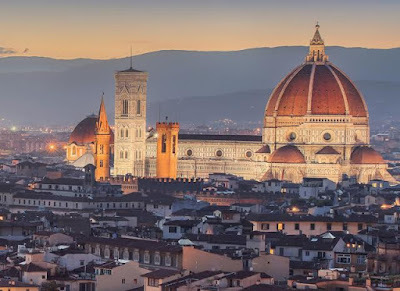 It would also be a delight to watch Leonardo and Michelangelo paint side by side in the Palazzo Vecchio in the Salone del Cinquecento or witness Florence’s magnificent Duomo before it had a completed cupola. 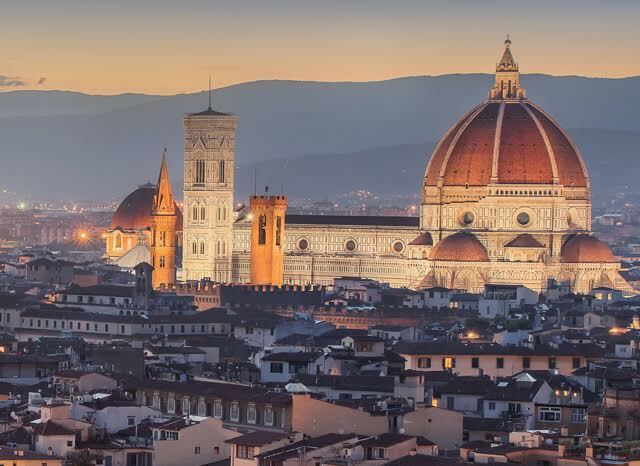 How extraordinary to be present in the room when the master architect Brunelleschi explained for the first time his ideas of how to build the largest free-standing dome since antiquity. I would like to dress in Renaissance fashions and take a stroll through Florence to stand in front of Orsanmichele, the granary in the center of town. There I'd watch as the statues representing Florence’s fourteen trade guilds are placed in their niches. What a thrill to then turn the corner and knock on Botticelli's studio and be invited in to observe the elegant master putting the final touches of color to his Birth of Venus. How exhilarating to witness so many changes in society as Medieval man’s view of the world took a step backward and that of a new breed of Renaissance men—embracing new philosophies and humanism—rushed forward. MM: Since publishing “Dreaming Sophia”, I have been asked to speak at the Istituto Italiano in San Francisco and several other venues in the city. I also plan to take part in the Italian Christmas market at the Italo-Americano Museum in Fort Mason in San Francisco offering signed copies of my book. I will continue to write for the Matta blog and Youtube channel. I have also created a Dreaming Sophia website, Facebook Page and Pinterest Board. On these sites, I plan to post more stories about Italy and art history. Through the website, I offer items I have designed, such as Dreaming Sophia book bags, t-shirts, mugs, and calendars. In 2017 I am organizing two Italian Language programs in Lucca in June and Arezzo September, as well as a “Dreaming Sophia Tour” in Florence in September. It will be a 5-6 day program, and we will visit all the places that Sophia goes in the book, as well as a day trip to Lucca. I am also developing an idea for a new novel and plan to start writing soon. Stay tuned! Thank you Laura for featuring Dreaming Sophia on your blog. I have enjoyed the journey of bringing Dreaming Sophia to life. I hope you too will enjoy your travels with Sophia! Non smettere mai di sognare—never stop dreaming! LCR: Thank you for chatting with me Melissa! 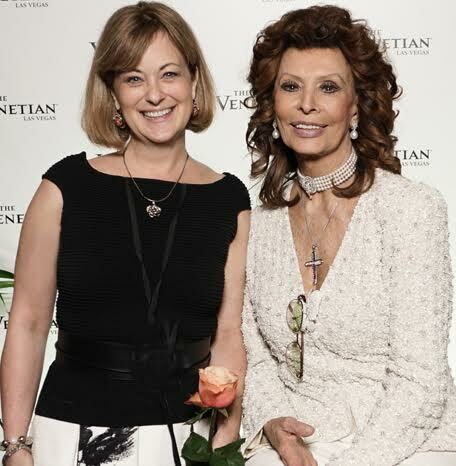 Melissa meets Sophia Loren in March 2016! This wonderful book would be a treasure which I would cherish. The Italian setting, culture, experience and the unforgettable story would be special and memorable. Loving Italy, the culinary delights, the culture, and the history this would be something I would keep forever and enjoy greatly.